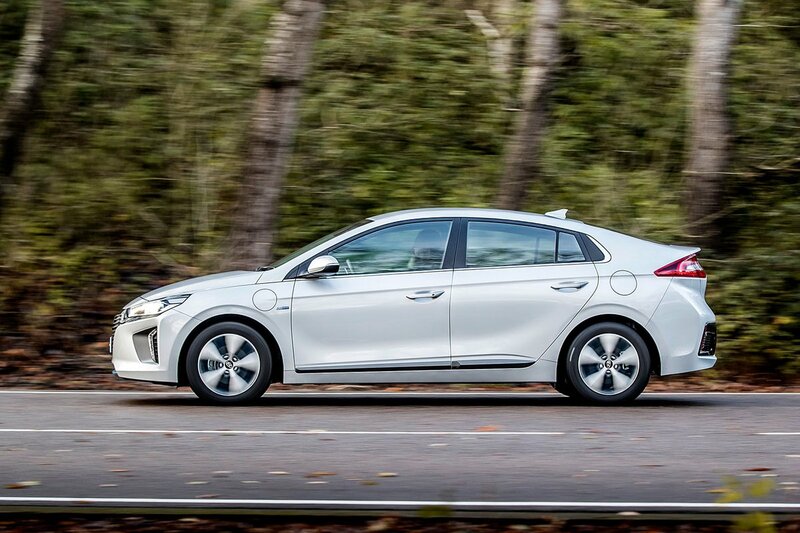 Hyundai Ioniq Boot Space, Size, Seats | What Car? There’s plenty of room in the front seats – as much as you’d find in any traditional family hatchback, or a Toyota Prius, for that matter – so two tall adults will have no complaints about head and leg room. 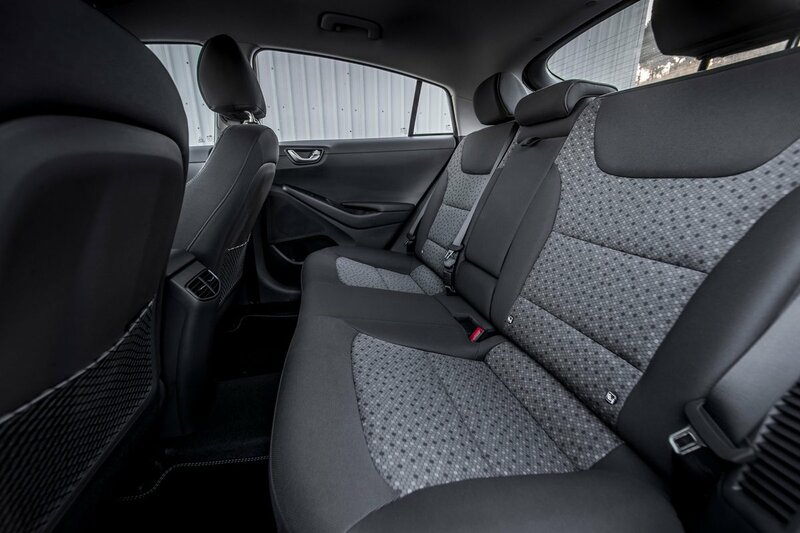 The rear seats also have enough leg room for someone tall, but anyone over average height might find their head brushing the sloped-back rooflining. 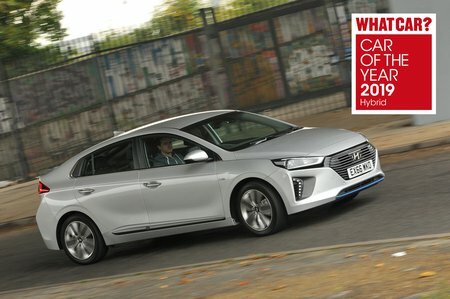 This is one area where the Ioniq loses out to regular hatchbacks, such as a Volkswagen Golf or Skoda Octavia. On paper, the Ioniq's boot looks considerably bigger than that of a Prius, but it's quite shallow and has a high load lip. It’ll still hold a buggy, though, and the rear seats split 60/40 and fold down to help with longer loads, but leave a hefty step in the extended load bay when you do fold them down. Buyers of the EV model should bear in mind that its bigger, rear-mounted batteries reduce boot space.